If you can’t beat ’em, join ’em? The popularity of mezcal is seemingly beginning to have an impact on the tequila old guard, and Patron has now responded in the most unexpected way imaginable: Not by launching a new brand or acquiring a mezcal producer, but by making a new version of Patron that closely mimics mezcal and its smoky character. As consumer demand for more refined and unique spirits continues to grow, Patrón Tequila, producer of the world’s highest-quality ultra-premium tequila, launches Gran Patrón Smoky. Using agave that is roasted with mesquite for about seven days in small underground stone pits, Gran Patrón Smoky brings a new level of meticulous detail and distinct taste to the Gran Patrón portfolio, Patrón’s most premium line of artisanally crafted tequilas. Gran Patrón Smoky honors traditional production methods dating back hundreds of years. Like all Patrón Tequila, the process for Gran Patrón Smoky begins with the highest-quality, 100 percent Weber Blue Agave. To create the distinctively smoky aroma and taste of this extraordinary tequila, the heart of the agave plant, the piña, is roasted in underground stone pits at the Patrón Hacienda distillery in the Highlands of Jalisco, Mexico. The cooked agave is then slowly crushed with a volcanic stone tahona wheel before the juice and agave fibers are placed together in pine wood fermenters and then distilled in small-capacity copper pot stills. Bottled at 101 proof, Gran Patrón Smoky will be available in limited supply in select U.S. markets starting in September 2018, with broader expansion planned for 2019. 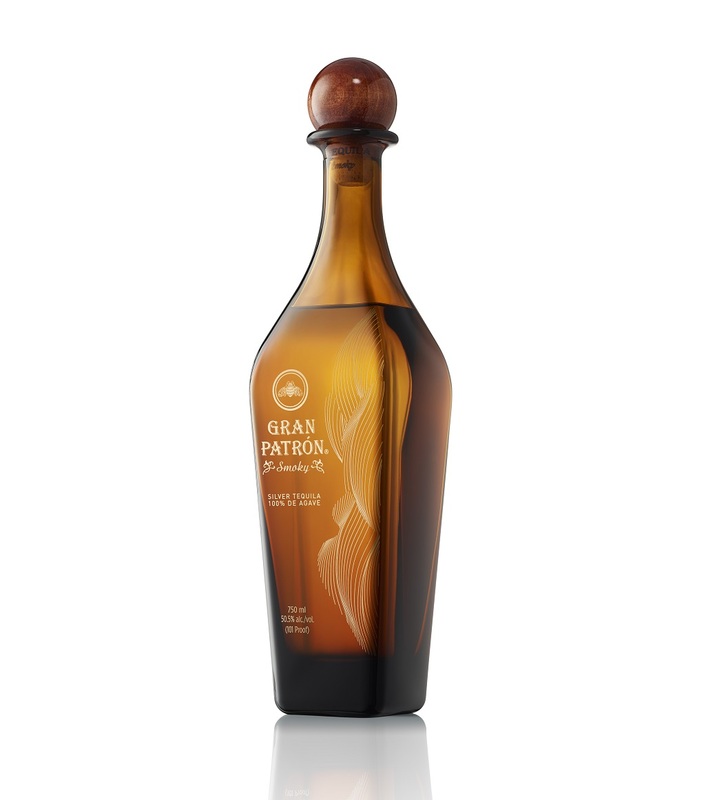 Gran Patrón Smoky is an ultra-premium tequila, packaged in an elegant 750ml tall bottle. In a nod to the roasting process, the bottle is topped with an elegant wood stopper and Portuguese cork closure to symbolize the materials used in cooking of the agave, and is adorned with ‘smoke’ climbing the front label. You’ll note that “mezcal” is never mentioned in that press release, a curious but clearly intentional decision. Anyway, let’s give this guy a try. The nose is sharp with smoke, immediately sweet, with a citrus punch. If you told me this was mezcal based on the nose, I wouldn’t bat an eye. The palate is both smoky and sweet, with a clear grapefruit note and some saltiness to it. All these flavors are well-integrated but ultimately, the experience is rather simple. The complexity and delicate floral character of Patron’s tequila is hard to find here, blanketed by the smoke, while the spirit lacks the bold and brooding savoriness you get with a typical bottle of high-end mezcal. Gran Patron Smoky is perfectly enjoyable — harmless, even — but I’d take a bottle of Del Maguey over Gran Patron Smoky any day of the week, particularly at this price. The higher proof is nice, but $109 more than their Extra Añejo?! That’s nuts. I agree. They’re outta their bleeping mind for $200 of smokiness. But the bottle looks great, though.